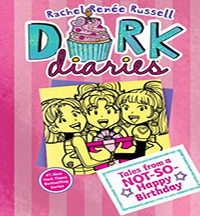 Our teacher discussion guide for the first twelve books in the Dork Diaries series, a series following Nikki Maxwell as she navigates her way through middle school, contains a breadth of activities and questions. Use the discussion questions to help students relate to Nikki and her struggles. The various activities included teach students to write their own diary entries, create their own storyboards, and much more!